Attending HBS is a profound and life-changing experience. So it’s no surprise that nearly 70% of students change career paths after completing their MBA. HBS has a strong commitment to career exploration, and we do not want debt burden to be a major factor in your career choice. HBS has a variety of career support programs for eligible students that provide financial assistance for those who choose careers in which starting salaries are lower than those of typical MBAs. Even after graduation, HBS can help you pivot throughout your career to pursue your passions wherever they may lead. HBS offers a Loan Reduction Program for students working in the private sector with total guaranteed annual compensation at or below $95,000. Awards typically range from $5,000-$15,000 and are offered as a one-time loan reduction at the time of graduation. Students who have received need-based HBS Fellowship are eligible to apply. The Rock Center for Entrepreneurship offers a one-time, need-based award in the range of $5,000-$20,000 to graduating MBA students committed to pursuing their own for-profit entrepreneurial ventures, including self-funded entrepreneurship-by-acquisition ventures. Students who have received need-based HBS Fellowship are eligible to apply. SELRAP provides need-based assistance to reduce the debt burden of alumni serving in managerial positions in the nonprofit and public sectors, as well as in select for-profit social enterprise positions. Awards range from $5,000-$10,000. Students who have received need-based HBS Fellowship are eligible to apply. 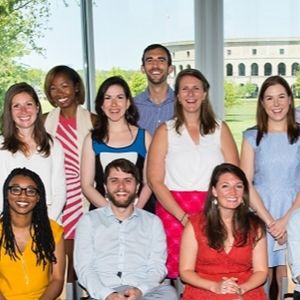 The HBS Leadership Fellows program offers graduating MBA students access to high-impact, one-year positions at a select group of nonprofit and public-sector organizations. The program engages top-tier organizations and works with their leadership to develop high-value positions open exclusively to HBS MBA students. All students are eligible to apply during their second year to be an HBS Leadership Fellow. GO: Africa provides supplemental income to HBS MBA alumni who have received job offers in Africa, starting with the class of 2018. In this pilot program, students will receive up to $50,000 in compensation each year for up to five years (with a maximum award of $150,000). The Blavatnik Fellowship is a full-time, salaried, residential fellowship for Harvard Business School alumni who want to create new ventures around promising life-science technologies, while developing their leadership talents. Ideal candidates are those who have graduated within the last 7-10 years. The Search Fund Fellowship is a pilot program that will provide financial support of up to $50,000 per year to a select number of graduating students to pursue a self-funded search. It is renewable for one year for total support of $100,000. Are there more funding sources? Global Opportunity Fellowship (GO:Africa) supports recent graduates who want to make a difference in Africa.